Tessa Arlen is the author of the Lady Montfort and Mrs. Jackson historical mystery series set in England in the early nineteen-hundreds. 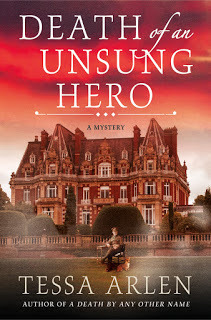 Her latest mystery, Death of an Unsung Hero, takes place in 1916 in WW1 in a hospital for shell-shocked officers. Kate Atkinson's A God in Ruins. I am never disappointed by this author, and her two books about the Todd family (spanning the first five decades of the 20th century) are extraordinarily atmospheric in time and place. 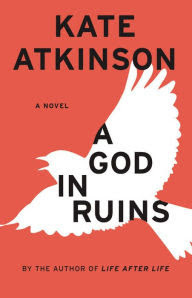 A God in Ruins (Book #2) tells the story through Teddy Todd: would-be poet, heroic WW2 fighter pilot, husband, father, and grandfather, as he navigates the perils and progress of a rapidly changing world that brought out some of the very best and worst of human kind. Read about the other novels on Arlen's list.